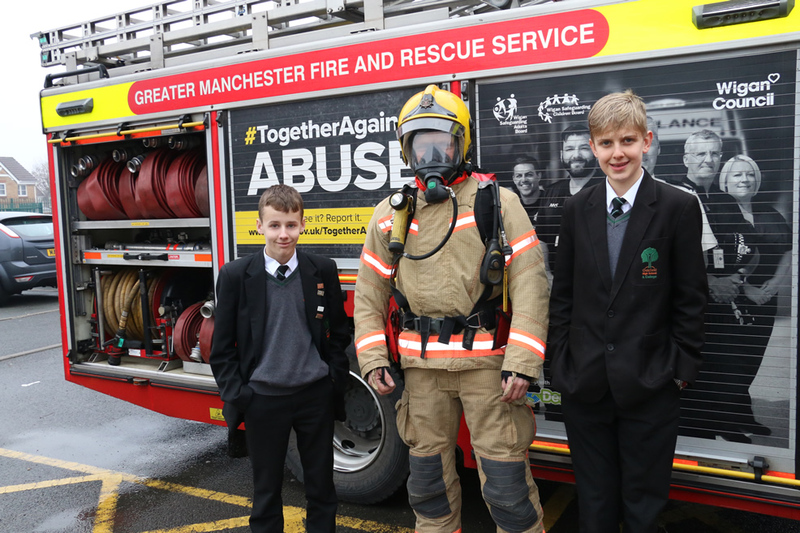 The Fire fighters from our local Hindley fire station called in to support the Y10 and Y11 Health and Safety course. They answered learner’s questions about fire safety and went through their slogan – Get out! Call us out and stay out! They also explained how prank calls waste their time when they need to be saving lives! The learners all enjoyed it very much and were very polite taking turns sitting in the fire engine and asking questions.